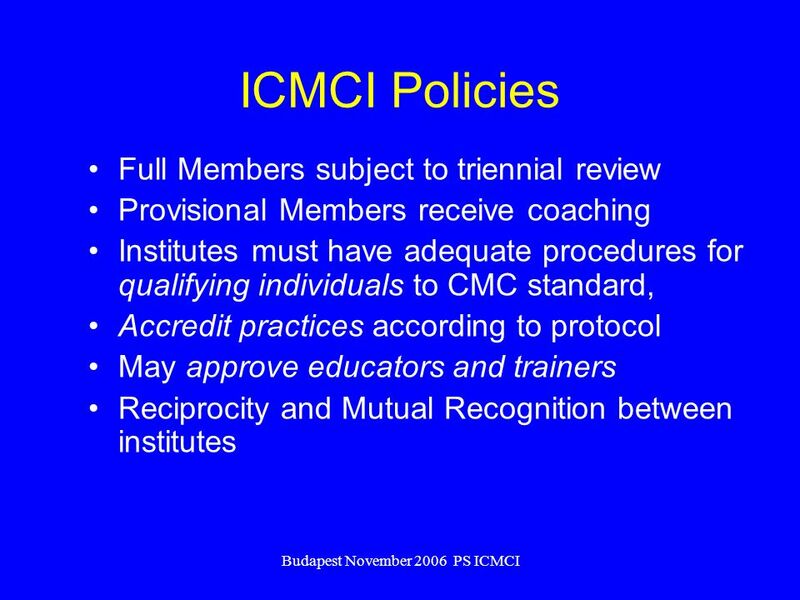 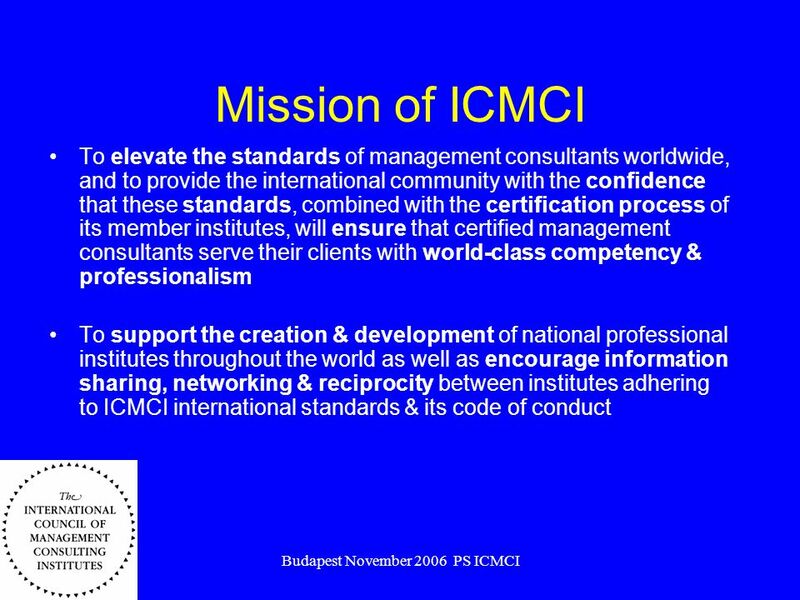 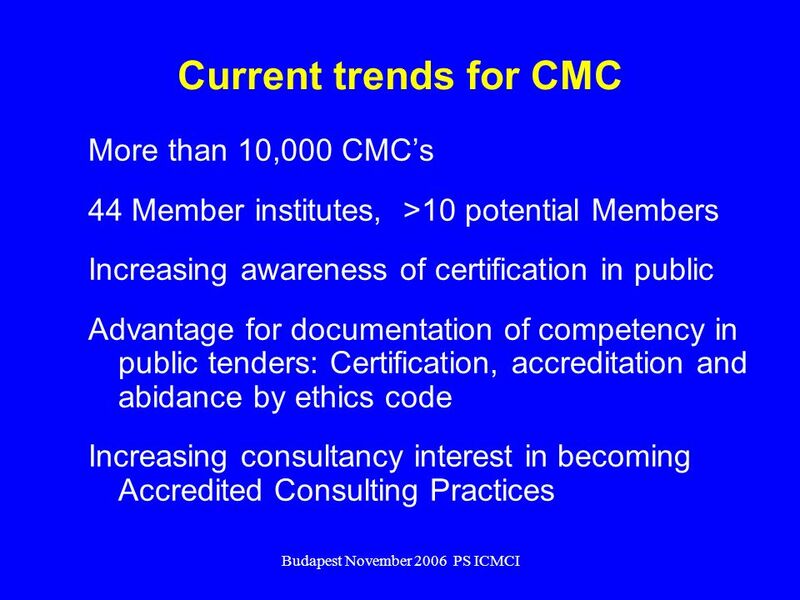 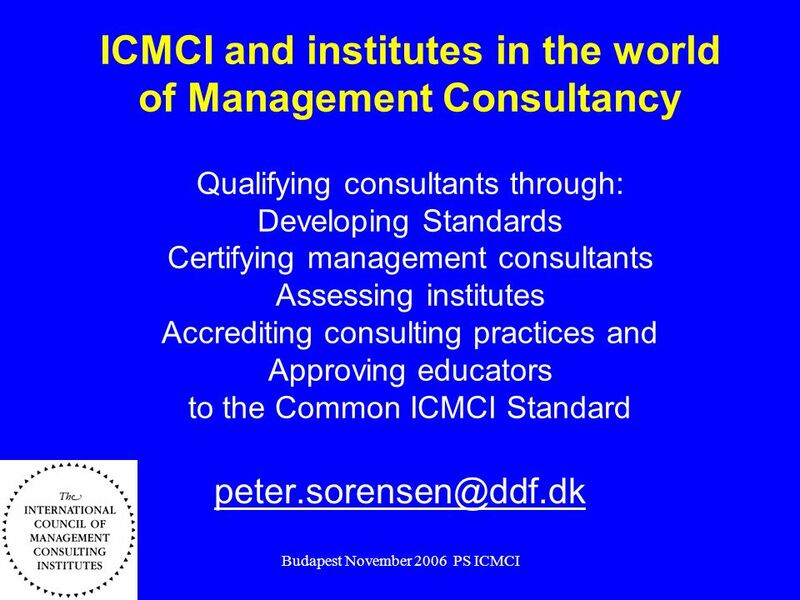 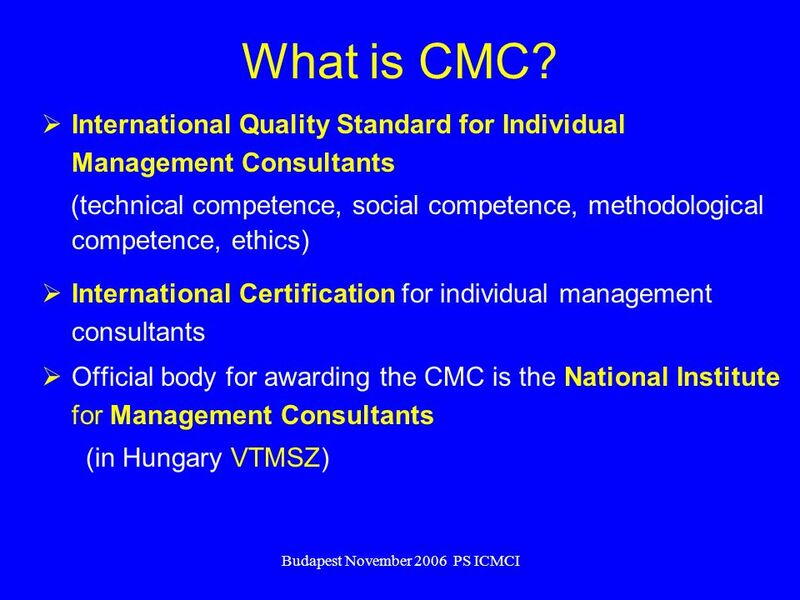 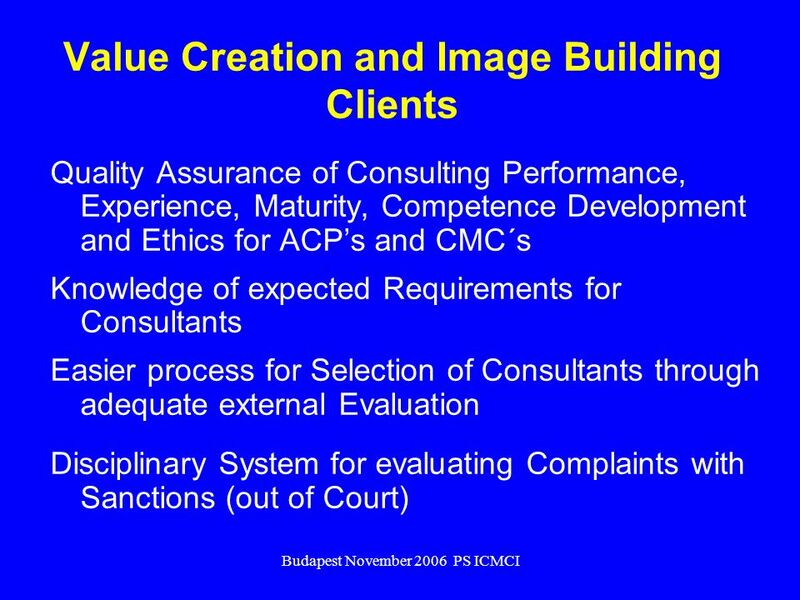 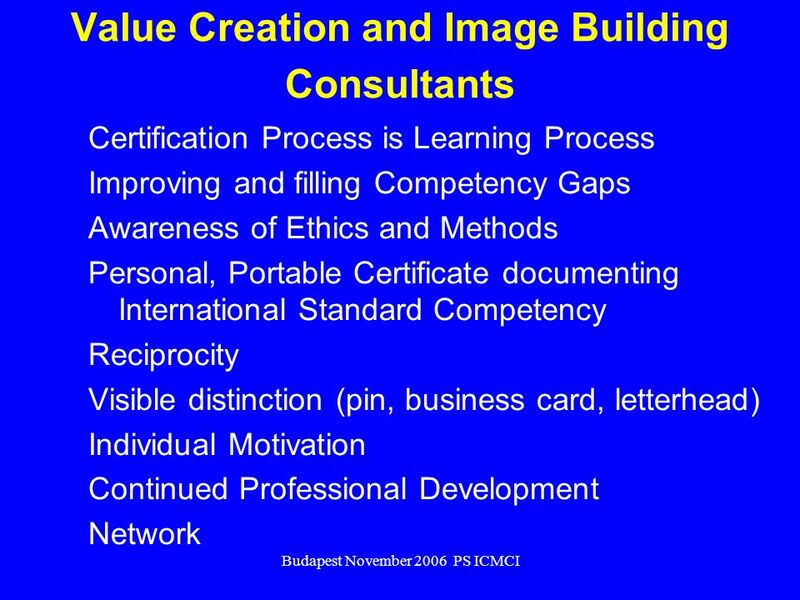 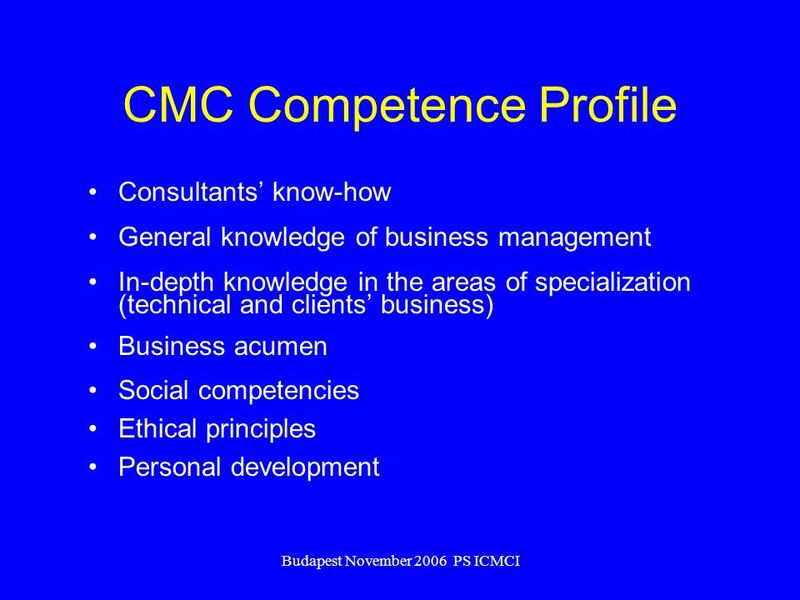 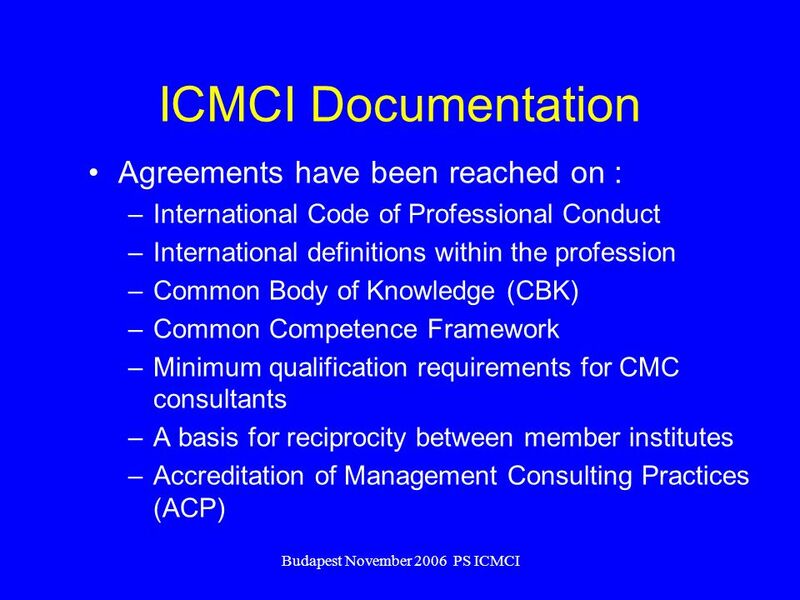 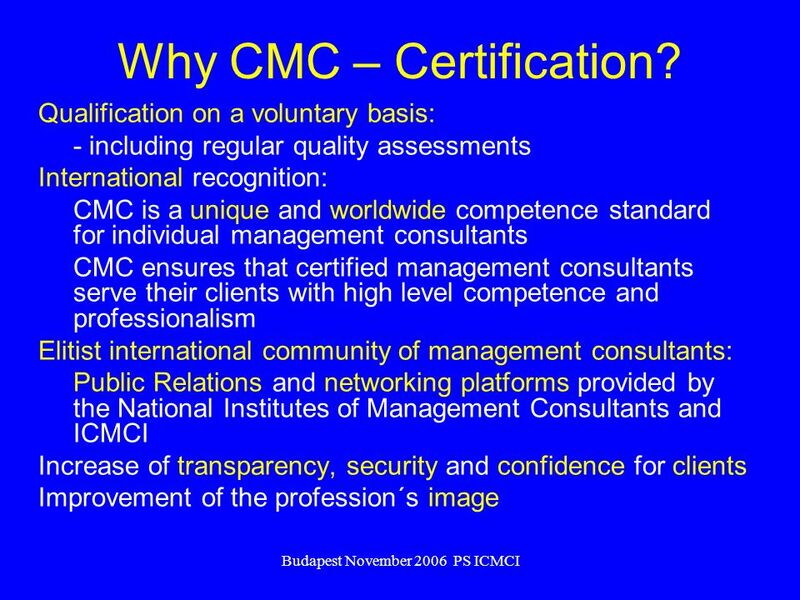 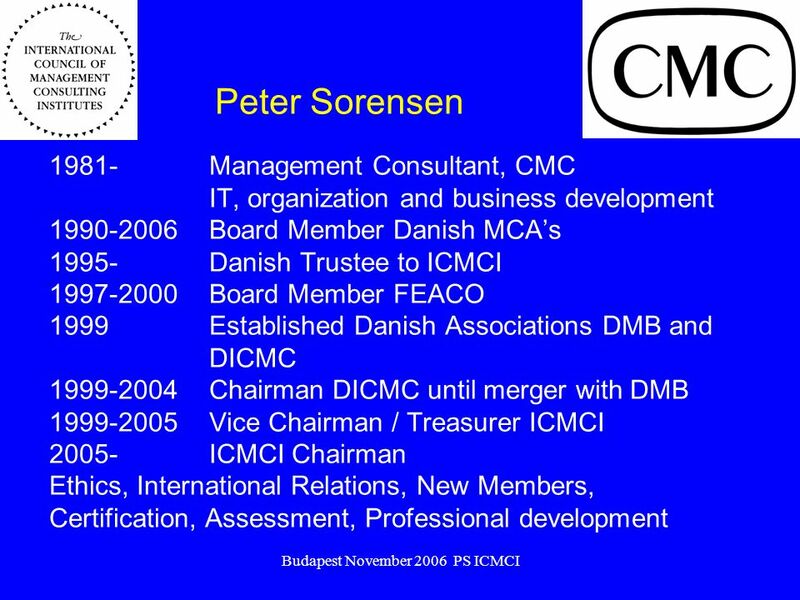 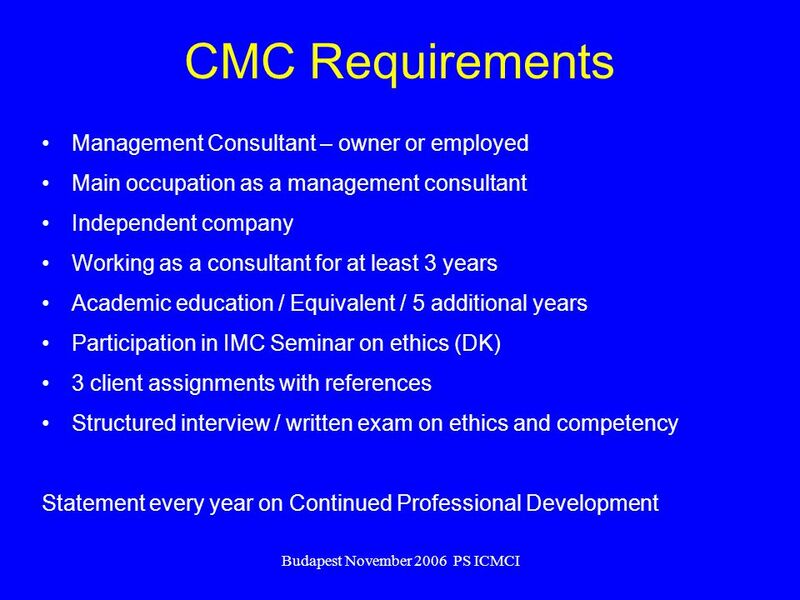 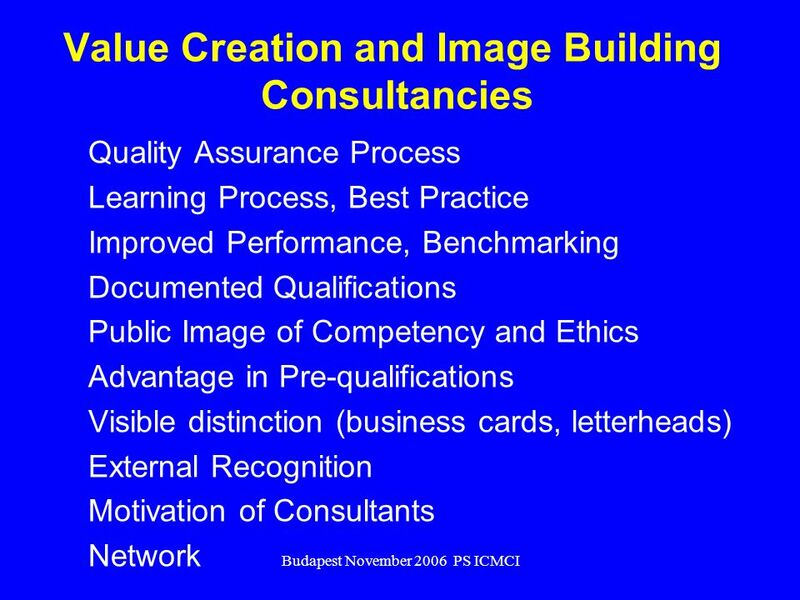 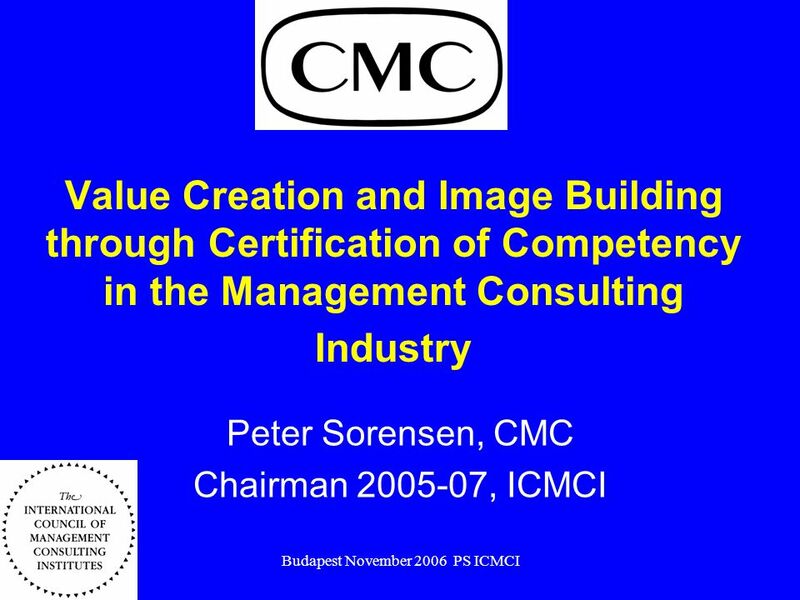 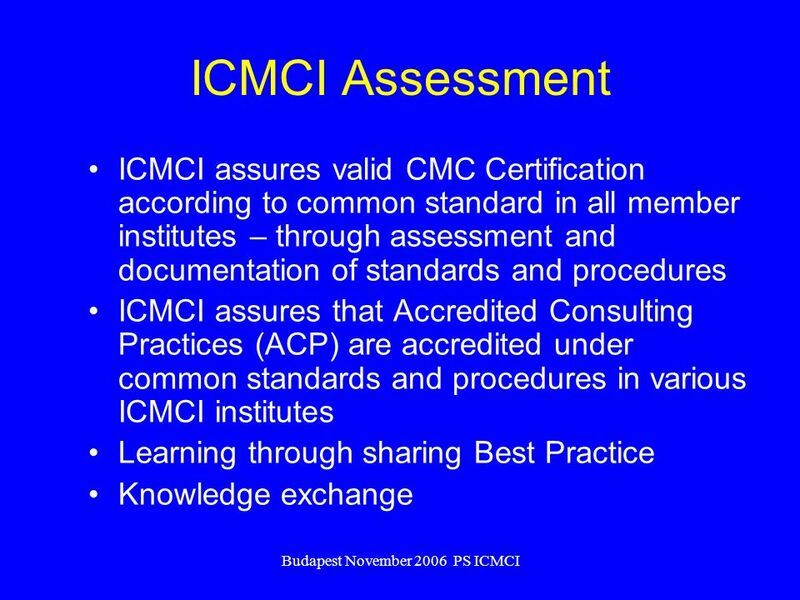 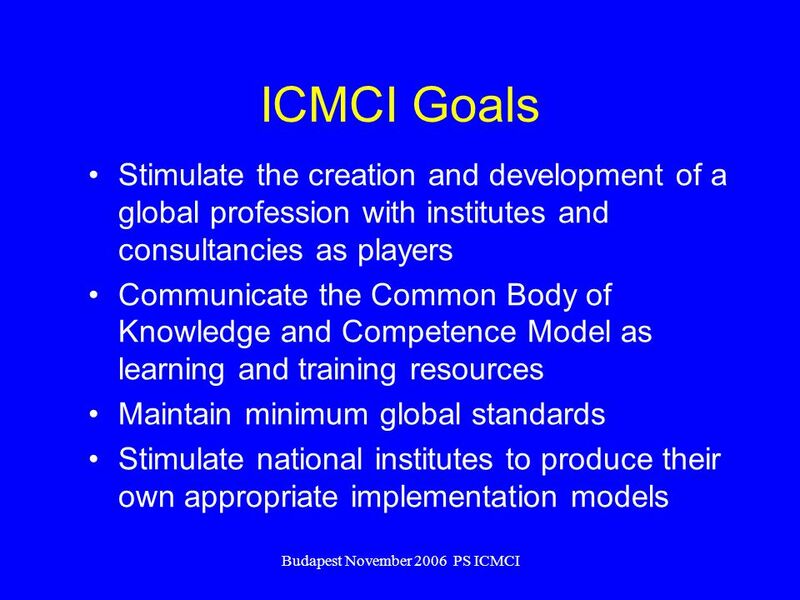 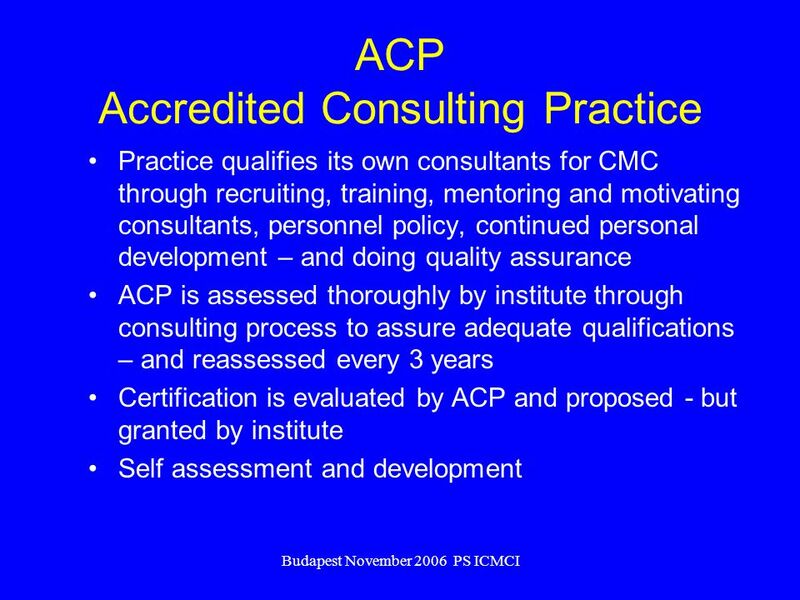 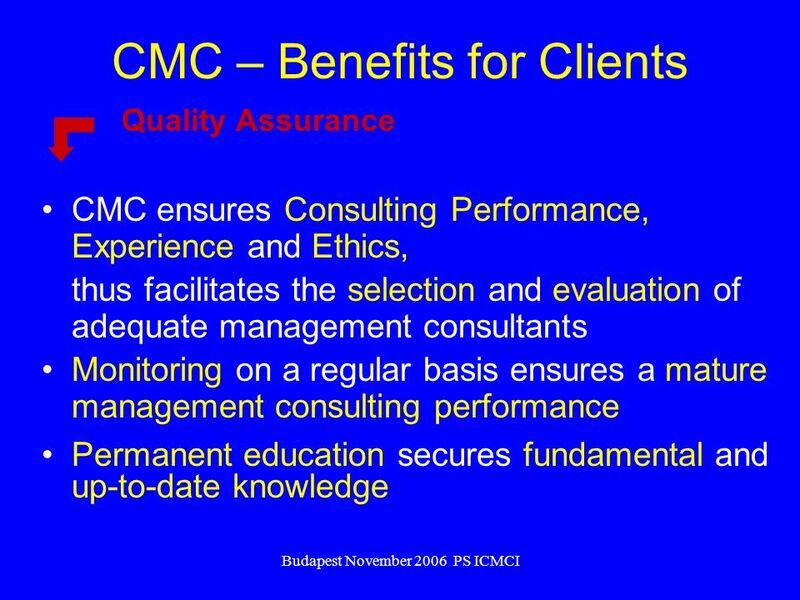 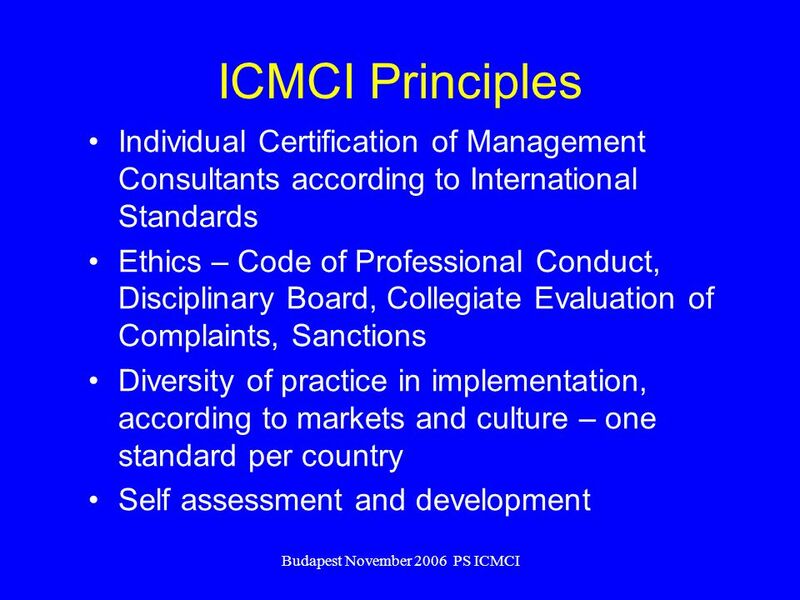 Download ppt "Budapest November 2006 PS ICMCI Value Creation and Image Building through Certification of Competency in the Management Consulting Industry Peter Sorensen,"
CERTIFICATION OF TRANSLATORS AND INTERPRETERS Seminar on Standards and Certifications in the T&I Industry Munich Prague Vienna March 2004. 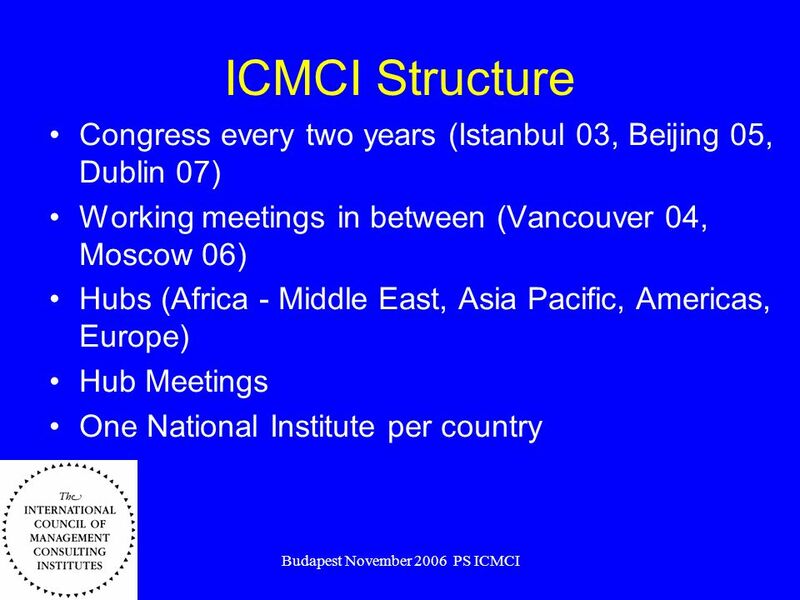 The International Cost Engineering Council ICEC is a worldwide confederation of Cost Engineering, Quantity Surveying and Project Management Societies. 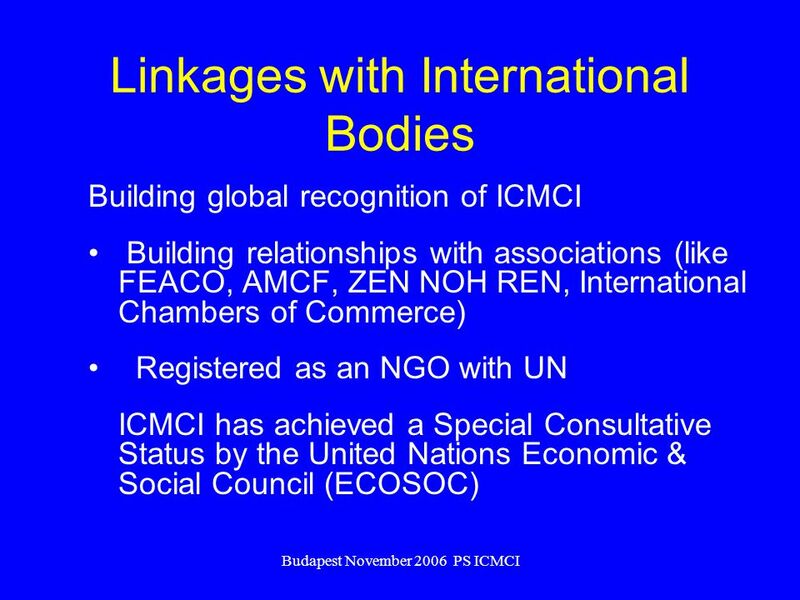 Climate Change - International Efforts. 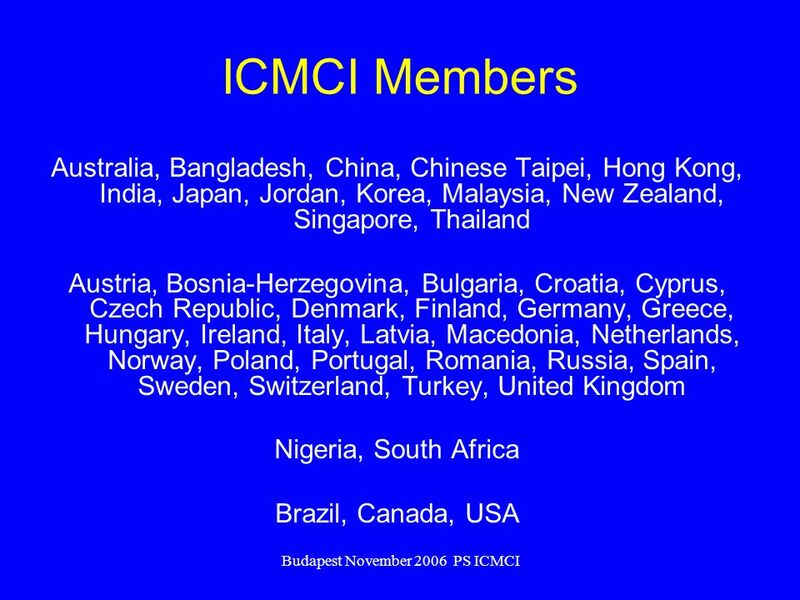 Direct Observation of Climate Change Source: IPCC 4AR. 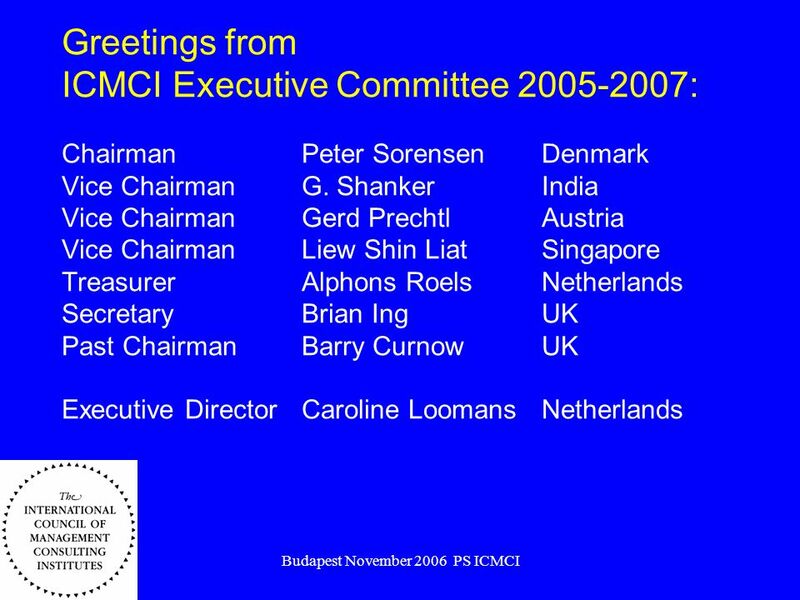 Delegations III KAM, Bratislava 4th to 8th September 2013. 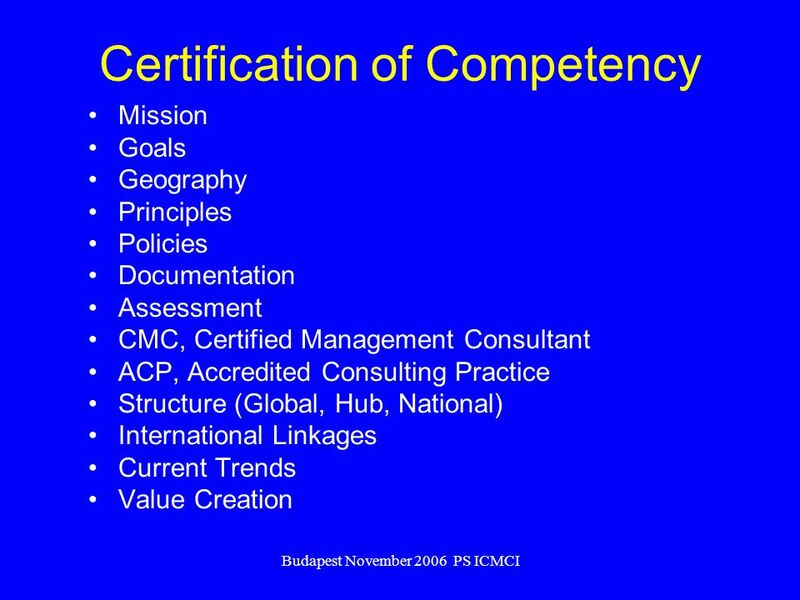 Leaders in Asset Management ISO Asset Management Systems 1 Prepared by Jim Dieter, MIAM CPPM CF NPMA Executive Vice President Director of Strategic.